Constable Nash is thought to have been shot to death, possibly while on duty, on 15 April, 1935. It was thought that he had committed suicide however little is known about this incident and to some extent it remains a mystery. The Hurstville Propeller newspaper dated 18 April, 1935 published the following article. CONSTABLE FOUND SHOT AT HURSTVILLE POLICE STATION. First-Class Constable Leslie Andrew Nash, station officer at the Hurstville Police Station, was found dead at the station early on Monday morning. Constable Nash commenced duty at 5 a.m. Constable Harvey left the station and when he returned Nash was missing. A search revealed his body in the bathroom attached to the station. Nash’s service revolver was nearby. The Sydney Morning Herald of 16 April, 1935 added a bit more to the story. POLICEMAN FOUND SHOT. Constable Leslie Andrew Nash, 38, was found dead in the bathroom at the Hurstville Police Station yesterday morning with a bullet wound in his head. A revolver was found nearby. Nash was to have sat for an examination yesterday morning and had been in ill-health for some time. For the last eight years, Nash, who was a first class constable with 14 years service, had been stationed at Hurstville and was well liked and respected in the district. He had previously been stationed at Sutherland. He is survived by a widow and five children. The constable was born in 1897 and joined the New South Wales Police Force on 5 April, 1921. At the time of his death he was stationed at Hurstville. Forgetting what he had been told at lectures, Constable Leslie Nash, 37, committed suicide at Hurstville Police Station on April 15. At the inquest today, Constable James Harvey said that Nash told him that he was worrying over a departmental examination that day, and had forgotten what he had been told. Returning a verdict of suicide, the Coroner said that the case was very sad. Constable Leslie Andrew Nash (38), was found dead at the Hurstville Police Station early this morning with a gun shot wound in the head. He was acting as station officer. It appears that the man, who had been in ill health, had been told that he would have to undergo a serious operation. Some time later he was missing, and a search resulted in the discovery of his body in the bathroom attached to the station, with a revolver lying nearby. SYDNEY, Monday. – Shot in the head,. 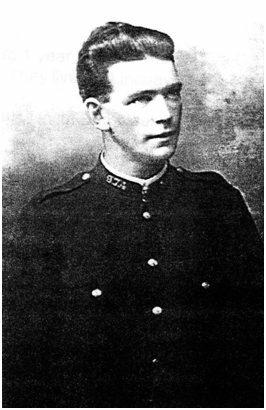 Constable Leslie Andrew Nash. aged 38, was today found dead at the Hurstville Police Station, where he had performed duty as station officer. Nash, who has been in ill health and had been told that he would have to undergo a serious operation, began duty at 5 a.m. He asked Constable Harvey to go on an errand, and when Harvey returned Nash was missing. A search revealed his body in the bath room attached to the station. His service revolver was nearby. Nash left a widow and four children. He had been in the force for 14 years and was a first-class constable. Today he was to have sat for an examination, which his inspector said he would have passed without the slightest difficulty. NA8H.- H.A.C.B.S. St. DECLAN’S BRANCH, No. 659.- The Officers and Members of the above Branch are requested to attend the Funeral of their late Bro.. LESLIE A. NASH: to leave St. Declan’s Catholic Church. Penshurst, THIS DAY. at 2.30 p.m., for Woronora Cemetery. By road. Inquest was concluded on 29 April 1935. In the attached photo, his Uniform # is 87A or 97A. The ‘ A ‘ used to depict the District that the member was attached to. ‘ A ‘ District was Sydney – so he may, at the time of the photo being taken, have been stationed at one of the Sydney CBD Stations.